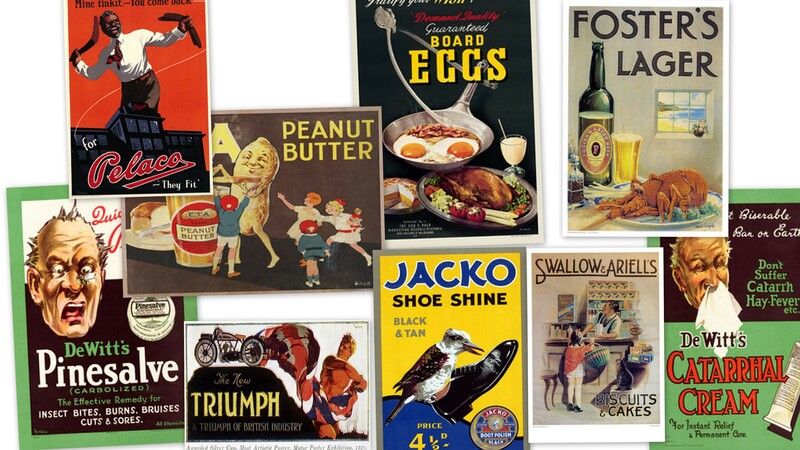 This classic vintage Land Speed poster is one of our set of four and advertises Wakefield Castrol Motor Oil. 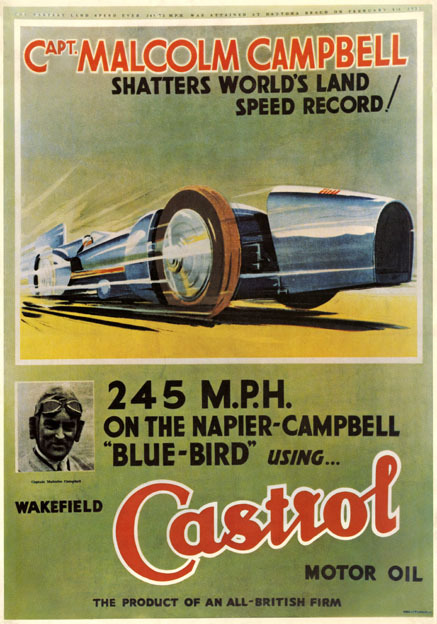 Born in England in 1885, Captain Malcolm Campbell began a family tradition of holding Land and Water record speeds which his son Donald Campbell carried on. 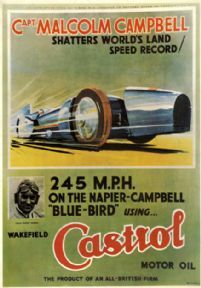 This poster tells us that on the 5th March 1931 he shattered the World’s Land Speed record by attaining 245mph and shows him in his Napier-Campbell car named ‘Blue Bird’ speeding along Daytona Beach in Florida.